Author: Pagano, Michelina Set In . . . Description: Set in the red canyons of the old Southwest, Grace of The Clouds is an epic tale wrapped in Mexican folklore and Navajo legend. It is the story of Grace, a child born of earth and heaven, who lives on a doomed ranch run by Matilda, a bitter Mexican born without a guardian angel, who believes Grace is a witch. Not far is Finger's Edge, an ominous butte the Navajos call home to the "Great One," the locals believe is cursed by witches, and where Grace was born. Grace talks to the earth and sky and magically transforms the ranch into an oasis for enormous vegetables and hearty cattle. As Grace grows, her beauty and mysterious powers draw awe and fear. She finds a lover in a cloud named "OV" who introduces her to a mystical new world. 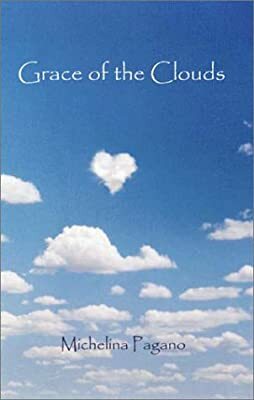 The Navajos believe Grace is the Great One until a man manifests from the clouds. There is conflict, scandal, and murder as clouds come alive in this enchanting romance about superstition and the power of love.